Chamilo is an e-learning and course management web application, and free software under the GNU/GPLv3+ license. It's translated into more 30 languages, SCORM compatible, light and flexible. "LMS for Beginners and Professionals"
To get started so easy, that would be my first convincing point. Beginners, who have no or just a litte experience with Learning Managment Software will be surprised. Creatng a lesson for example is more or less really intuitive, the most features are self-explanatory. This way you can create more complex scenarios very quickly. For the advanced users are the most common features build in (evaluation, different types of tests, classbuilding, etc.). Nothing really. Maybe, but i'd say every software has this problem, sometimes problems with new features if known as beta. But thats up to the user to test, no force :-). The most commong problems are academic, there are many requests for eLearning in that area. But there are also a lot of company who use Chamilo in workshops. Therefore we realized these workshops or gave instructions. "Awesome simple software with many possibilities"
Easy to use but also possible to create complex eLearning scenarios. You have so many options, but also without deeper knowledge there are good results. If you think moodle could be more easier, have a look at Chamilo. More features, most modules/plugins are onboard (and therefore maintained to next versions from core developers). But it has a totally different approach. Also, you should have a look at the oogie - Powerpoint-Converter or the integration of bbb (bigbluebutton). Both are really good to use, and give you further possibilities. We provide several portals for medical education, language skills, computer knowledge, and many more. In case of medical education, Chamilo is used to deliver new informations for nurses and doctors and the available portal is approved by Bavarian State Chamber of Physicians. "An easy and complete LMS to use. " As a pedagogical engineer in one of the biggest university of France, I have to set many distance-learning projects as well as blended learning ones. Chamilo is so easy to use that it only requires a short time of learning for teachers to create relevant on-line courses. Simple to use, Chamilo offers yet many tools that allow teachers to enrich their pedagogical activities. From on-line and full distance learning, to blended learning as well as flipped classroms, Chamilo can support many different pedagogical projects. I can't honestly find something I don't like about Chamilo as it is the tool I use everyday with many different people. Easy to use and very ergonomic, Chamilo offers all of what a teacher needs to create advanced courses. Feel free to test, it worths it as it is not a complex LMS at all and yet very powerfull. Chamilo's community is very active and responsive. It's a pleasure to always have someone who can help if needed. The platform is in constant evolution so as to meet teachers and students needs. "Easy to install, easy to use, easy to manage." As an computer engineer Chamilo is easy to install and has a very low RAM and CPU consumption. As an LMS administrator, no configuration is needed to start using the platform, integration with an existing information system is easy. If needed, you can activate or modify many options to fit your teachers' needs better. As a teacher, you need a short traning to use the platform. Tool usage is intuitive, and when you get used to them, you can start using the learning path tool to put your course into an educational sequence. In a third step, click on Advanced tool prorperties to improve your Chamilo experience. Teachers can use the platform gradually without being lost. Students don't need training. It's really an advantage when you have several thousands of students using your platforms, with new students every years. [warning, technical speaking here ;) ] If you are a web developper, you'll really apreciate the use of the newest develloping tehcnology in Chamilo. Chamilo uses Silex components of the PHP Symfony framework (which is, of course, open sources too)... and it is just great. This is a guarantee of security, resistance, flexibility and easier coding contribution to Chamilo. There is nothing i dislike. May be, as for many other softwares, care if you install a very new major version, test it on some of your courses before migrating. You are sure to make the right choice using Chamilo, beginner LMS Teachers usersand advanced ones will take advantage of the platform. New LMS teacher users will easilly use it and will be able to improve there Chamilo experience gradually. More experimented teachers will find the usual LMS tools, and will be able to use advanced tools and functionnalities at short notice. The developping community is really nice and skilled. It's a great advantage for us, we can developpe or improve new functionnalities for our teachers (new quizzes, new reporting chart...), and after a strong code review, these functionnalities can be added to the official platform distribution. We can share our work with over universities, or Chamilo developpers, and vice versa. "Great user experience and Human Resources Management features"
The user experience is very nice : I'm not wasting my time improving this, out of the box the user experience is really good. I appreciate a lot the Human Resources Management features of Chamilo, the Skills wheel is really very useful and nice : it's easy to see who has what skills in the organisation. Other point that I really appreciate is that the project is driven by a non-profit association, and that Chamilo is really open source, there isn't any parts that are non open source. We have here the same spirit that there is Drupal for example. I also really appreciate the Scorm integration contents. It's very clean, while in other open source LMS it's not so visually clean, or not so ergonomic. Nothing, just hoping that xAPI will be integrated. I think it's one of the best open source user experience elearning platform. LMS elearning consulting : my customers have their needs and projects, and I help them choose their LMS and make their projects effective. Recently, Chamilo is one of the LMS that corresponds a lot to the customers' projects. For example, for a company that wants to provide elearning contents to their employees, or for a company that wants to sell elearning contents. "Intuitive use and easy to configure and adapt to special needs"
The best for me in chamilo is that it is easy to install and understand it's code to create new functionalities. It has a lot of configuration to adapt to many different kind of use. And if a specific extension is needed it's easy to implement. I don't really find any thing I dislike. When ever I find something, I just indicate it an it gets corrected and on the next update everything is ready. Just try, it's available and you will love it. In my case I use chamilo to help my customer having a perfect fit for there project for learning institution to industy company. So since it has most of the functionnality the work lot is much lower and the final price for my client is better, so I get more competitive. "Chamilo LMS, as the easiest to use and to manage"
I dislike anything ! Chamilo LMS is very easy to use ! Chamilo LMS is simple to use and its management can be learnt quickly, so with Chamilo LMS you optimize you time on users training and all the time you save is money you earn. "A humanist solution for Knowledge building"
As computer engineer, I think that Chamilo LMS is comfortable for the development of news features. Several technology are employed to improve the experience and produce interactive content with a better quality. His adaptability allows to users finds faster the better way to work according to the context. As a humanist I feel concern to the Knowledge building and the possibility that it give us to improve the apprehension of world. I'm sure that Chamilo LMS is a good tool that can make the difference for the construction of a new society, a society who propose more choice to learn, to teach, to live. After two year and a half of hard work as a developer, I'm still searching something I dislike. I don't find anything. 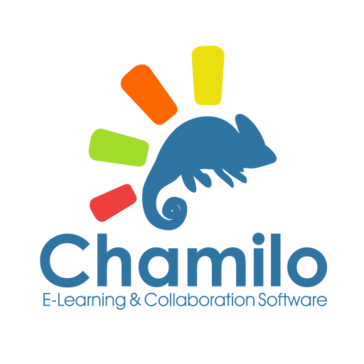 Chamilo is a great Learning Management System (LMS). The main key is the ease of use. When you access for first time you know how you have to navigate. The usability is perfect. The other great thing is the optimisation. With a low RAM consumption is the best LMS of the market. There are a lot of quizzes and include hotspots. You can edit images and audio from Chamilo with no other software (you only need your navigator like Google Chrome or Mozilla Firefox!). You can activate audio quizzes. And students have the possibility to send their voice. Dropbox system is great because you can send archives by groups. For instance, I use dropbox option to organise new courses. All teachers send us their class materials via this system. And we can check the reception of this materials. Chamilo has to improve in some connections by native way. There are some functional plugins but it's important to have more community and more developers because the product is amazing. When you are looking for a Learning Management System you can think among open source and private source. If you want to use an opens source LMS Chamilo is your choice! You haven't to pay by licenses for user. It's very easy to use and administrate. All it's intuitive. And if you have to develop some new features you can talk with Chamilo suppliers. It's fast and easy. With Chamilo I can have a functional LMS with no code problems, integrate with SCORM standard and super accessible. The speed is more than other LMS. I can prepare a lot of educational materials to 10,000 employees with low resources (humans and economics). "All in one LMS solution - Easy to use- Easy to implement"
from the very beginning, this open source platform is awesome. Easy to install and configure, Also very User-Friendly. You have tons of Authoring tools to create your own content and the BBB (Big Blue Button) video conference integration is superb. having a small CRM for the student tracking will be perfect but I think I'm asking too much. Also, an App will be nice. This Open Source platform is very intuitive, super easy learning curve and everything is in there, you don't need to deal with plugins. I solved the training of 5 cities, 15 instructors, 2000 students per year by consolidating and sharing knowledge and reporting. "Chamilo, the friendly and flexible VLE you will love"
It's philosophy of simplicity and usability for non experienced users. It provides a friendly entrance to e-learning while providing powerful functionalities. Maybe not to the degree that other platforms offer (Moodle, being the most popular), but I think that in many cases, less options (or less choices within each feature) means less difficulty for novice and not so novice users. And this means less time spent in learning how to manage / use this platform. There is not a single feature I strongly dislike in Chamilo. I think that some features should be improved in the future, such as a better adaptation for mobile devices, data analytics, or integration with external and popular services/networks, such as Facebook, Google, etc. If you are thinking about using an online campus for users who are reluctant / novice to work in e-learning, go for Chamilo. It is extremely friendly. There won't be 100 ways of creating tests (to give an example) but it has the basic (and more than that!) features your users will need, less the hassle and complexity that other VLE offer. We manage a Chamilo community with over 58.000 users (http://aula.cesga.es) and 1.500 courses. What we like most about Chamilo is that, as administrators, we have only a few user related issues to solve, but almost none related to its stability, functioning or serious bugs to deal with. "Chamilo is an excellent platform for creating online courses"
It allows you to create simple set courses managed through intuitive tools . It has an excellent system to create courses sessions defined times . Implementing services under Chamilo LMS for business customers who give virtual courses . It is a better option for implementation for large-scale service . "It's a good Free Software LMS"
There is little that I dislike... The documentation is a little bit old, maybe. "Simple, easy to use, and effective"
I love the simplicity and easiness for the final user, specially for people that are not from the IT world. Another aspect that I love from Chamilo is that all its development it totally based on international standards and it has a true open-source license. I would like to have an official mobile app for Chamilo. If you are looking for a great LMS to implement a virtual campus and you need an ease to use platform, for administrators and users, you will find in Chamilo one of the best option in the e-learning realm. We are addressing the need of a virtual campus to extend the learning experience beyond the classroom. "Freelance Software Engineer, Digital Agency, Elearning Provider, Life Coach"
lms installations and communication platforms. * We monitor all Chamilo LMS reviews to prevent fraudulent reviews and keep review quality high. We do not post reviews by company employees or direct competitors. Validated reviews require the user to submit a screenshot of the product containing their user ID, in order to verify a user is an actual user of the product. Hi there! Are you looking to implement a solution like Chamilo LMS?